It’s about working hard and enjoying the journey! 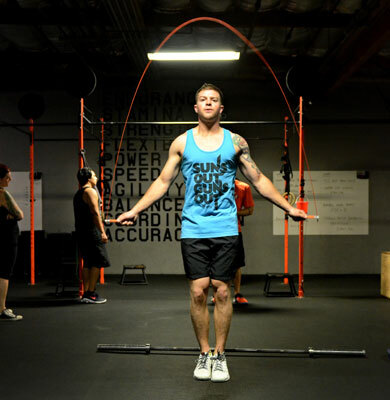 Be a part of a friendly community and great CrossFit environment that wants you to succeed. We offer classes 7 days a week, 4000 sqft. of space to workout, coaches on hand to instruct and get you better. Our classes are programmed to focus on flexibility/mobility, time for coaching for various movements, and get an effective Metcon (Metabolic Conditioning) workout. Increasing strength, power, speed, and stability. 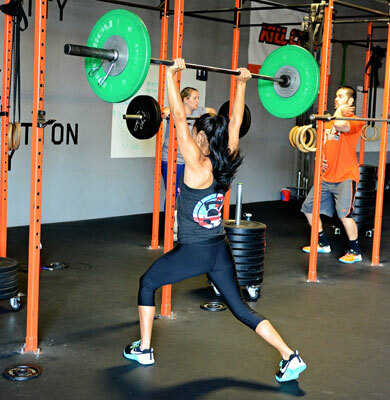 Participants in this class should have a minimum of 3 months CrossFit style weightlifting experience and or be proficient in the following movements: Snatches, Cleans, Jerks, and Squatting. 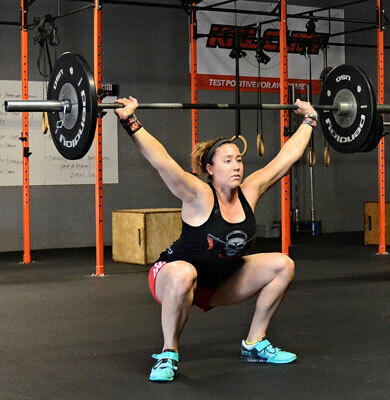 The programming for this class will be directly inline with improving individual’s heavy lifts. 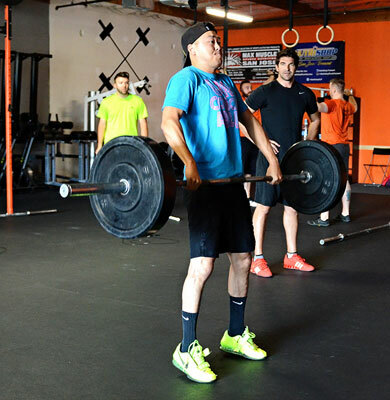 The Advanced weightlifting class is an expansion of the skills weightlifting section seen in our daily CF programming. 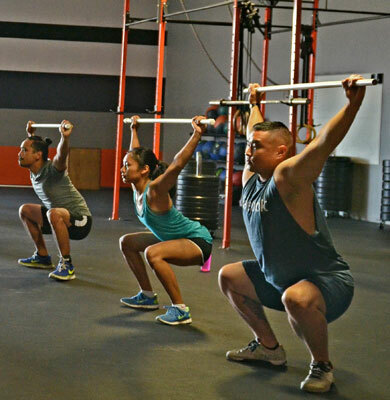 For those who are not yet ready but interested in participating, consistent attendance to CF class will develop the necessary skills to successfully merge the advanced weightlifting class with your weekly programming. 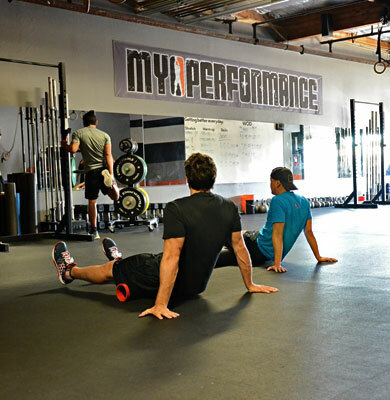 Join us on Wednesdays and Saturdays for a Mobility WOD! For 45 minutes we spend time learning and applying various techniques to relieve tightness, improve movement efficiency, recover faster, and prevent injury. By continually working on our mobility we can improve our athleticism allowing us to jump higher, move faster, and throw further. 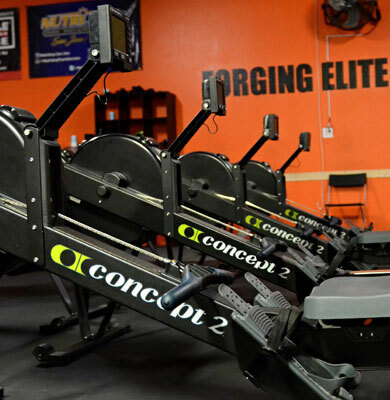 Our Enduro Class is specifically programmed using a combination of running, rowing, jumping rope and other movements to increase your VO2 Max, or your ability to use oxygen while exercising. 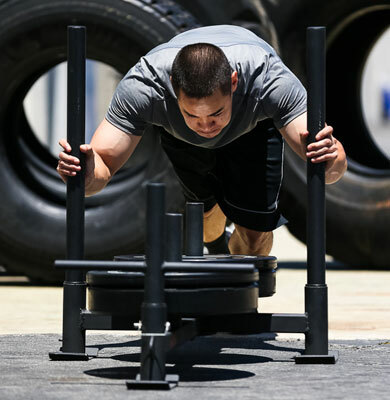 Varying degrees of interval and long distance training will help you as CrossFit athlete, a weekend warrior, or a casual fitness enthusiast. 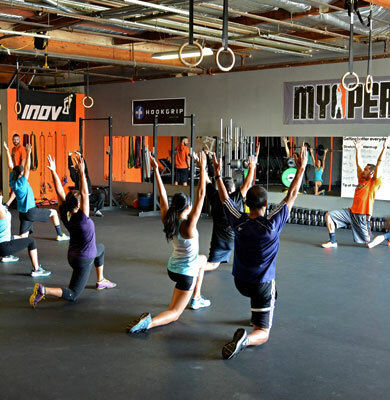 CrossFit Myo Teens is a program designed for teenagers aged 13-17. We focus on developing athletic skills and teaching teens how to properly exercise in a fun group environment. Teens can expect to see improvements in strength, endurance, flexibility, and hand-eye coordination. Classes are Mondays 4:00pm-5:00pm, Wednesdays 4:00pm-5:00pm, and Saturdays 8:00-9:00am. Cost is $120 per month or $15 per class. If interested please email eric@myoperformance.com for more details and to schedule a complementary class to try. A membership specifically for weightlifting, more programming, more coaching, more time, more results. Priority use of lifting equipment such as barbells, platforms, kilogram plates, blocks, etc. INDIVIDUALS APPLYING FOR THIS MEMBERSHIP MUST HAVE 1 YEAR OF ADVANCED WEIGHTLIFTING CLASS EXPERIENCE OR EQUIVALENT. THIS MEMBERSHIP IS NOT FOR BEGINNERS AND ACCEPTANCE TO THIS PROGRAM IS SUBJECT TO THE APPROVAL OF THE CLUB MANAGER. 2015 © Myo Performance, LLC.